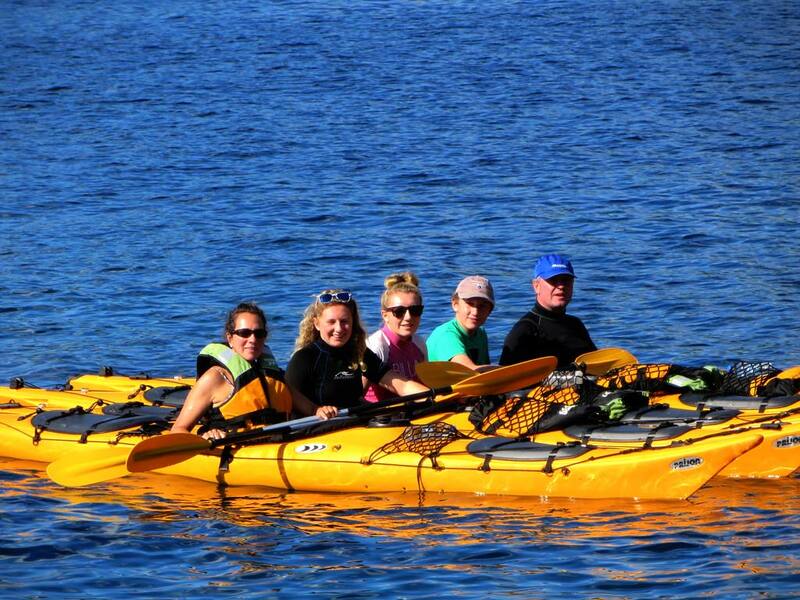 Experience sea kayaking and more on one of the most beautiful islands in the region - Šipan. Covered in green forests and fields and surrounded by turquoise sea, this island is a perfect playground for those who crave outdoor adventure. 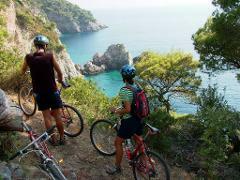 This Dubrovnik multisport holiday has been designed for those who love traveling, being active outdoors and exploring seaside, nature, heritage, history and art. 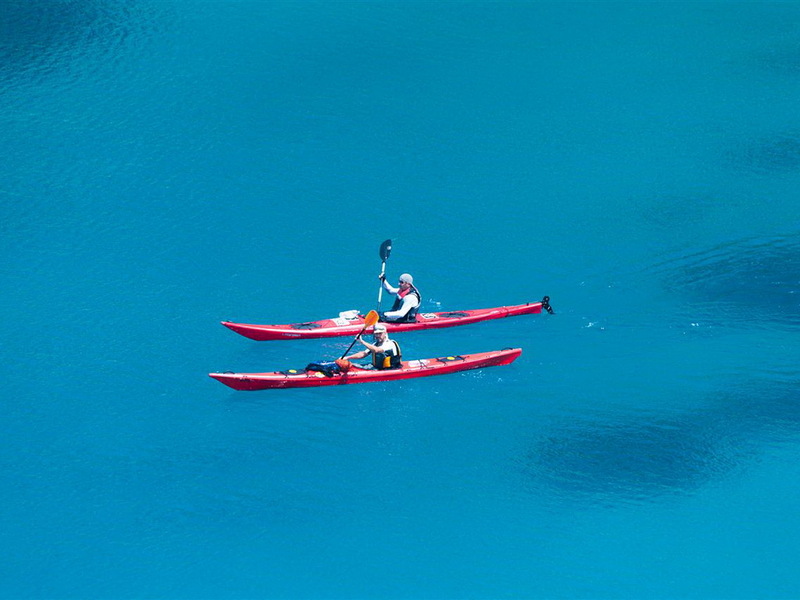 Daily routes are rather short – 3 to 5 hours of easy activity- and not demanding, fit for all ages between 8 and late sixties (no previous sea kayaking experience is necessary). This trip is perfect for families with children but also couples and solo travelers looking to get away from the crowds and enjoy fun activities. Designated family and adult departures ensure that you will be surrounded by like-minded travelers. Dubrovnik in Croatia is one of the world’s most beautiful old towns and the Elaphiti shorelines are rich in history and natural variety – cliffs, caves, pine and palm trees, hidden coves, reefs, sandy beaches… Lopud, Kolocep and Sipan Island, where you will stay, belong to the Elaphiti Islands archipelago. These are some of Croatia’s most beautiful green islands – covered by forests with lots of sunshine and sandy beaches and free of traffic. 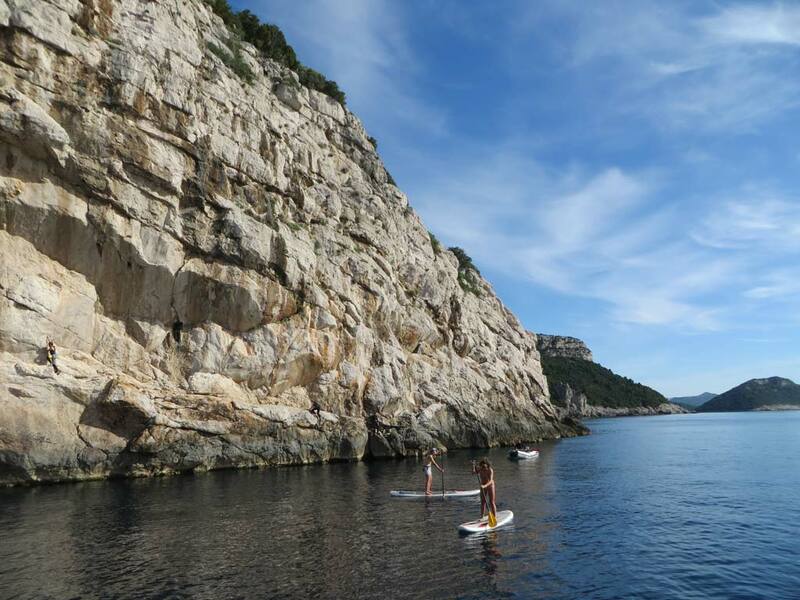 Their location is ideal – we reach them in under an hour’s time from Dubrovnik and explore them while sea kayaking, cycling, sailing, swimming, snorkeling and on foot. 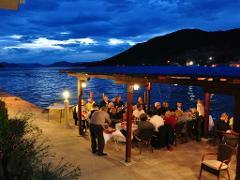 In the evenings you will enjoy a full flavored Mediterranean cuisine, typical for these islands and the area. Our experienced local guides and skippers will avoid overcrowded destinations ensuring you get the most authentic experience. Accommodation: Huck Finn uses traditional stone houses that suit 3* standards. House in Šipan Island is modernly furnished and recently renovated, with ensuite bathrooms and air conditioning. Double Rooms and Double/Triple studios are available beds. It is situated on excellent location, by the sea and under the shade of tall palm trees. Meals: Breakfast will be served in a rich buffet form with several types of cereal, butter, honey, jam, ham, cheese, eggs, yogurt, fruit, juice, coffee, tea and milk. We can also provide vegetarian, vegan, gluten-free, etc. meals with prior notice. Some lunches will be picnic-style, allowing for flexibility along our route. You will be able to buy lunch packages from the local shop. Gourmet Experience: Excellent local and private restaurants will be available during lunchtime and dinner. They have received excellent feedback from previous guests for their value for money and we strongly recommend trying their specialties to all those interested in discovering authentic Croatian food. In Luka Šipanska you can find excellent restaurants and variety of dishes where everyone can find a meal according to their own taste. Single use rooms are available upon request with a 20% surcharge. Sharing a twin room with another person is possible. 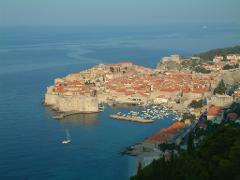 After the arrival at Dubrovnik Airpor, harbor or bus station you will be transferred to Luka Sipanska. This village at the far end of Sipan Island with beautiful sunsets is a charming and romantic fishing village in a bay surrounded with palm trees. Its beauty makes it a favorite mooring place of sailing yachts. Sipan is the largest of the Elaphiti Islands and its landscape, castles, chapels and monasteries are ideally explored by bikes or on foot. Luka Sipanska will be our base for the duration of the holiday. Enjoy the afternoon exploring, swimming and sunbathing. Note: Arrivals are recommended by 3 pm. Transfers for arrivals by 6 pm are included, but you may miss group dinner and orientation. Arrivals after 6 pm may be subject to surcharge for transfers or overnight on land. 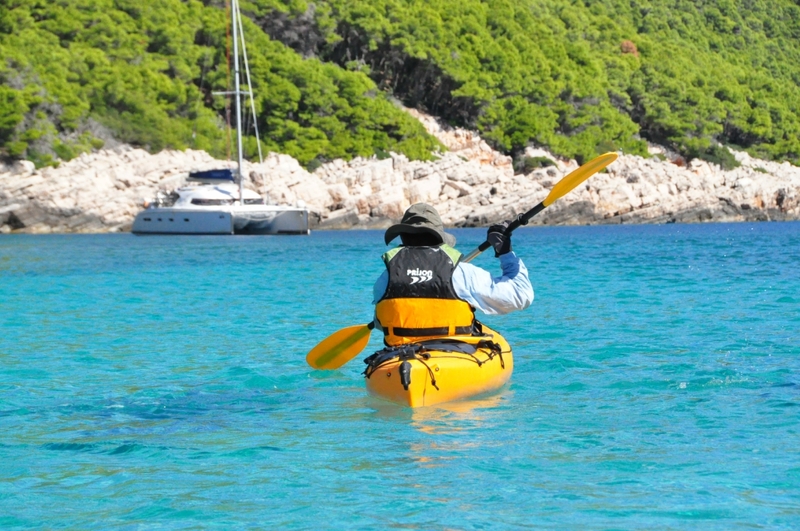 The Elaphiti Islands are one of the best Croatian archipelagos for sea kayaking. 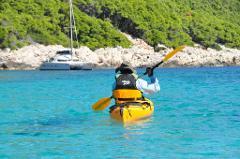 Each island is small and easy to kayak around, but has an interesting and indented coastline, offering numerous coves and beaches. We paddle out of Luka Sipanska this morning and head west towards Jakljan, Tajan and Olipa islands. All three are uninhabited and their beaches can only be accessed from a small boat or kayak, resulting in a number of secluded beaches and a rich, undisturbed underwater world. There will be plenty of time for swimming and snorkeling before returning to Luka Sipanska for yet another spectacular sunset. Sipan is the largest of the Elaphiti Islands. 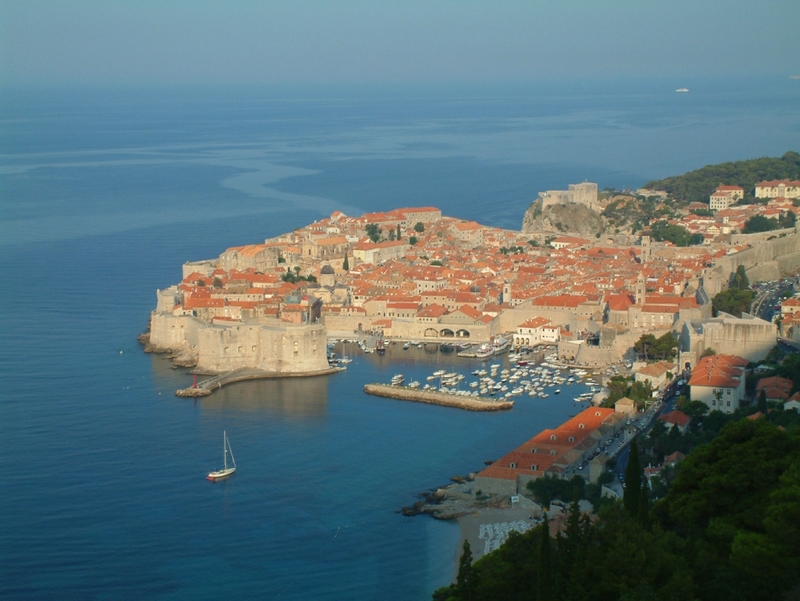 It was lucky enough to reach its peak of development at the time when the Republic of Dubrovnik was the richest. The result is the highest number of summer villas found among all three inhabited islands, as well as numerous churches, chapels and monasteries. Two villages, Luka Sipanska and Sudjuradj, are connected by a road with very little traffic, which is ideal for cycling. Visit a local hilltop farm with picturesque olive groves and the most beautiful view of the island. 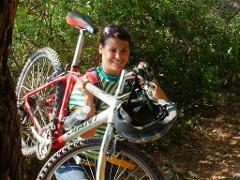 Today we will explore the nearby Lopud Island. Lopud has many beautiful walking routes that take one from sea to the top of the island and back. This island’s true treasures are its tiny churches and a fort strategically located at one of its highest points. In the past, it served as an observation point and was used to protect the island’s safety. 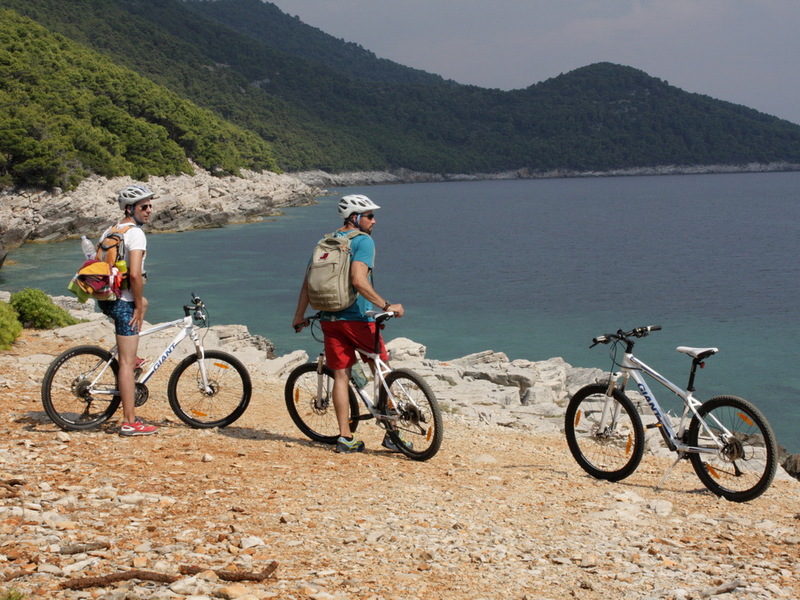 Prepare yourself for stunning views of the Elaphiti Archipelago and Mljet Island. For those who chose a 5-day trip, this is the end of your holiday. You are welcome to schedule your homeward transport for any time. The rest of the group continues the trip. 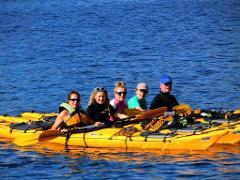 Relax on Sipan’s beaches, swim, snorkel, sea kayak or join one of the proposed optional trips. Visit Dubrovnik, the most beautiful of all Mediterranean towns, for sightseeing, shopping in ancient streets and walking along city walls. Ice cream or coffee taste best in open air bistros along Stradun, Old Town’s main street and promenade. 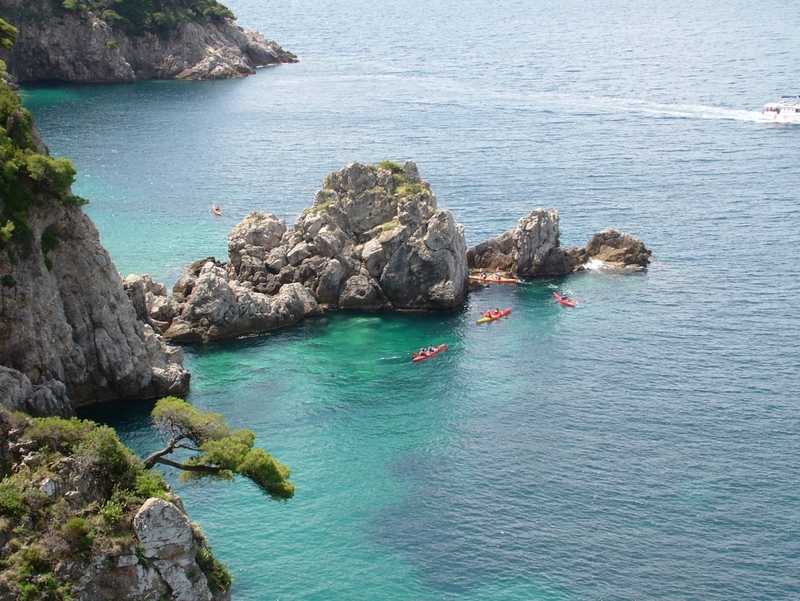 Take an optional boat ride to Lokrum, the “cursed island” near Dubrovnik with its Benedictine monastery, botanical garden, small lake popularly known as the “Dead Sea” and Fort Royal Castle. This morning we head out to Kolocep Island. 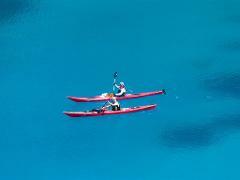 The island’s cliffs, caves, coves and beaches, accessible only from the sea, make it Croatia’s best sea kayaking island. 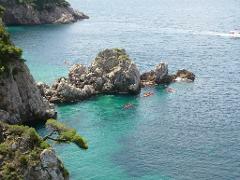 Snorkeling gear will be provided for you to explore the rich and colorful underwater world of the Adriatic. In the afternoon, a catamaran will take us on a sunset sailing trip around the area. Occasionally our boat is met by a friendly dolphin as we enjoy the sun setting over the Elaphiti. Return to Sipanska Luka in the evening for a farewell dinner. Transfer to Dubrovnik bus station, harbor or airport. You can book your flight from 10 am onwards. Earlier departures can be accommodated, but are subject to a surcharge. There might be several group transfers between the destination and airport depending on flight departure time. If you decide to spend more time in Croatia, our guides will be happy to recommend other beautiful places to visit – especially those you won’t find in tourist guidebooks.